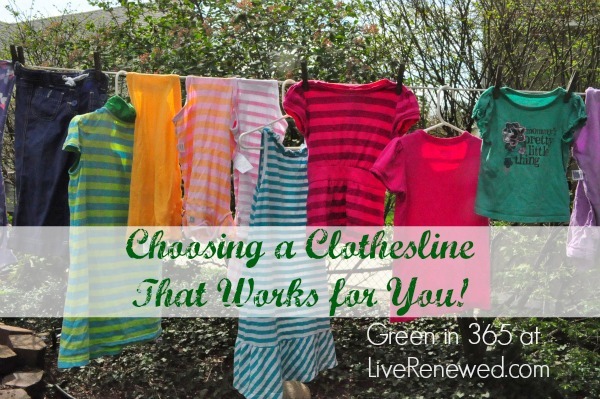 How to Get Caught Up on Laundry in Just One Week! A System that Works! I think we’ve probably all been there at some point in time – standing at the bottom staring up at Mt. Laundry and wondering how we’re ever going to conquer it. When we have so much laundry to do, we feel like we will never get caught up, much less keep on, our family’s laundry. Because we all know what happens when we have a lot of laundry to do, while we’re working on getting caught up, the piles just keep growing and growing. I recently found myself in this exact place. After finally finding an awesome system for keeping up with the laundry (keep reading to hear more about this amazing system! ), I did really well for about 2 weeks and kept completely on top of our family’s laundry. Then, as always, life happened and I got a little, okay A LOT behind on our laundry. I don’t even remember how or why it happened, so I don’t really have an excuse, except that I just stopped using my system and I got behind, and then it felt so overwhelming to try to caught up again. You can relate to this on some level, right? Please tell me you’re not always 100% completely caught up on laundry?! Finally, last week I decided to tackle Mt. Laundry and get caught up, while at the same time getting back into my awesome system that helped me keep on top of my laundry. And you know what? It worked! Usually when I try to catch up on laundry I just continue to be behind because, of course, new dirty laundry keeps appearing every day. Imagine that, my family, kids especially, wear clothes and get them dirty every single day. Ha! Conquering the Laundry Pile: A Strategy for Catching Up While Creating a System that Works! Gather all your family’s dirty laundry together in hampers or baskets and take it to the laundry area. This will be referred to as Mt. Laundry for the remainder of this post. Yes, it is important to put all of your family’s laundry together. I know it’s shocking, but really, your clothes won’t be hurt by being washed at the same time as your kids clothes. It just makes it so much easier to have all of your dirty laundry together, so you can get through it more quickly. From now on, use just one hamper for all of your family’s dirty laundry. Place the family hamper in a central location, like a bathroom or a linen closet, and place all of the family’s dirty laundry into this one hamper. This is the first step in the awesome system of staying on top of your laundry. We keep our family hamper in our coat closet in the hallway between our bedrooms and bathroom. Before you go to bed on the evening of the first day, put one load of laundry from Mt. Laundry into the wash to be washed overnight. I always think it’s amazing that I have appliances like my washing machine and dishwasher that will work for me while I sleep! We have a delay wash button on our washing machine that I use to set the washer to run around 5:00AM so it’s done by 6:00AM when I get up. But I have friends who just run theirs at night and they don’t have a problem with it smelling dirty or moldy by the morning. 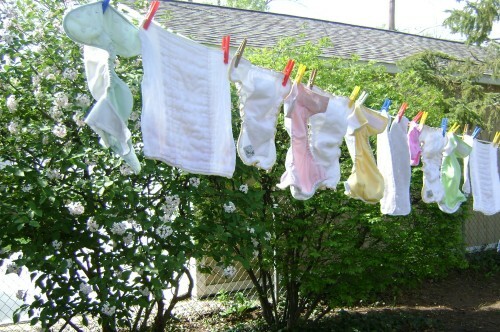 In the morning, move the clean clothes to the dryer (or hang them on the line), and put another load from Mt. Laundry into the wash. Depending on how many loads you have to catch up on, you may need to add another rotation of laundry at lunch time. I would say if you have more then 7 loads to catch up on, then you probably need to repeat the rotation again at lunch time, otherwise you can relax until the evening. At the end of the day gather all of your family’s dirty laundry together and take it to the laundry area. 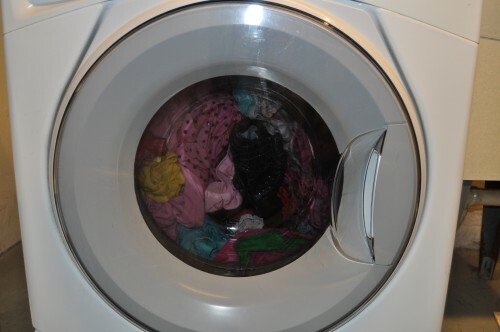 Get the clothes out of the dryer into a hamper and move the laundry from the washer to the dryer. Place the load of all your family’s dirty laundry from the day into the washing machine to wash overnight, like on the first day. This is how you will stay on top of your family’s laundry and keep from falling farther behind as you catch up! Quickly fold the clean laundry and have it ready to be put away in the morning. Basically, you’re just going to repeat the steps of Day Two: In the morning, move the laundry from the washer to the dryer and throw another load from Mt. Laundry into the washer. In the evening, gather all your family’s dirty laundry from the day again, and take the clothes out of the dryer, move the laundry from the washer to the dryer and throw the day’s dirty laundry into the washer overnight. By repeating this cycle every day for the rest of the week, you will be catching up on your mountain of laundry, while also keeping up with your daily laundry so you don’t get behind again! See how that works?! And if you ever have extra loads to do, like cloth diapers, linens, cleaning wipes and rags, or if your family is like mine – pee-soaked bed sheets (just keeping it real! ), you can easily add in those loads in the mornings like you did when you were catching up! I didn’t come up with this brilliant system of washing the family’s laundry together at the end of every day myself. My friend Megan from Sorta Crunchy did, and you can read more about how this laundry system work for her. Do you struggle with conquering Mt. Laundry? How do you stay on top of your family’s laundry? Do you think this system could work for you? Also, be sure to check out the amazing system we use to fold and organize our clothes! Thank you for this post. I’m pinning! This sounds like a great idea. I can totally relate! I’m just curious though, if you’re throwing your family’s laundry in at the end of the day – do you sort colors? Is this about survival and not about sorting laundry “properly”? I struggle with this as I learned to do laundry as a kid. We each had our own laundry bag and our own laundry day – unless it got full before that day. We just dumped the whole bag into the washing machine, added soap, and hit start. It wasn’t until a long time later I learned you’re supposed to sort colors, etc. to keep them nice. (And what about the whole “wash this on cold, wash this on hot, wash that on gentle cycle.” jargon? How are you ever supposed to do laundry that way??! Currently, I “sort” whites, lights, and darks. And I usually just wash everything on cold water, normal cycle. As a kid, whites were always gray. I’m at least trying to avoid THAT. But otherwise, I’ve always considered myself horrible when it comes to doing laundry. Keeping up on it, doing it properly, etc. Nope, I don’t sort colors. I decided awhile ago that my sanity was worth more than sorting my laundry, and it has saved me so much time and headache over the past few years. I know were taught that we’re “supposed” to sort colors, but I just don’t think it’s necessary. I also wash all of our clothes cold, except for towels, linens and cloth diapers, and that’s because it’s easier on the clothes and more environmentally responsible then using warm or hot water. You can add 1/2 cup-1 cup of vinegar to the washing machine and that will help set the colors and keep them from fading onto each other, but I’ve also found that once clothes have been washed several times (which happens pretty quickly at our house, and a lot of our clothes are used, so they’ve been washed previously before coming to us) the colors don’t run onto each other and it’s not an issue. I love this! I struggle with a mt. Laundry far more than I would like to admit. 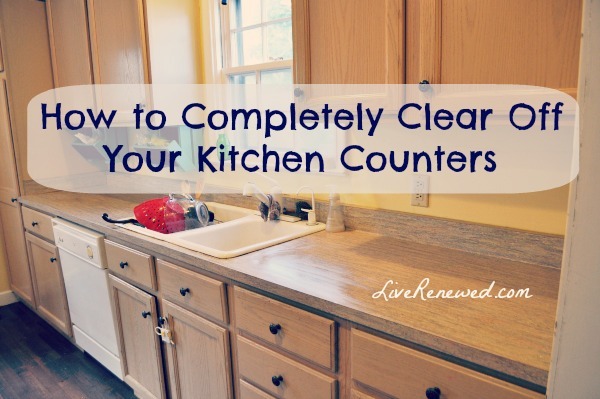 I tend to tackle the dirty pile easy enough but do you have a system to get the clean mountain put away? I have a daughter and feel strongly that clothing makers have found a million shades of pink so it is impossible to match a pair of pants with more than one shirt! So I spend too much time waiting for its pair and the folded mountain is out of control. And let’s be real the other 3 clean clothes piles struggle as well. I can’t seem to get the clothes put away during wake time and can’t get to their dressers when they are napping. Any suggestions? I have a serious issue with waiting til the Mt Laundry is so out of control that it is overwhelming. It doesn’t help that my current living situation is in an apartment whose laundry center only has 6 washers and 6 dryers. Half the time I go to wash one load, they’re all full and I just can’t wait around for other people to finish. So this week, my husband and I took ALL the clothes, and I mean a full back-seat’s worth, to the laundromat, took the quarters and ran with it. I also struggle with putting clothes away, because my husband works very early in the morning, so in turn he goes to sleep around 7pm every night. I would hate to risk waking him up just to put clothes away, but he told me just to do it! So I did despite my fears that it would bother him. Not to mention, I have been collecting garments for so long (since a fire wrecked my old house and wardrobe in 2012), and my reluctance to donate or get rid of clothes probably stems from having to start all over a few years ago. But with 2 dressers and 2 closets full of MY clothes, it was hard to find room for his small amount when he moved in last October. Earlier this week I decided that these are just things, some of which I won’t be able to fit into probably ever again, and that really hold no sentimental value. So since I was in the giving mood, I laid all of my clothes out on the bed and stood back in awe of how much I had collected over the course of 4 years. It shocked me. So I took 6 garbage bags and filled them all to the brim with these ill-fitting clothes I had been holding onto. I think that will help keep Mt Laundry at bay as well. Now that we’ve got everything we own cleaned, folded, and hung up, we’re going to attempt to just wash as soon as 1 basket gets full. It’s a task I’m willing to take on, because when Mt Laundry stares me in the face, I feel so helpless. Mount neverrest!!!! I have a big family laundry is never ending!! !